Bold styling and serious road presence mean the Hyundai Santa Fe is an SUV that can't be ignored. Confident and assertive looks carry on through into a comfortable and refined cabin that makes use of quality materials and is well equipped. Clever technology helps to make everyday life that little bit easier, while the ride on offer is responsive and fun. 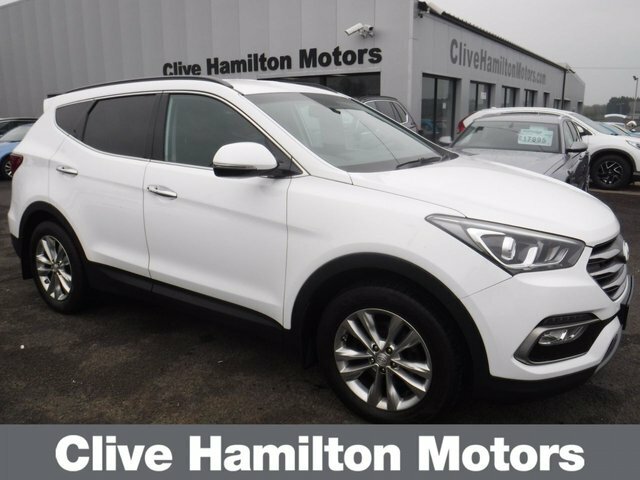 Get behind the wheel of one of the used Hyundai Santa Fe models for sale in Cookstown at Clive Hamilton Motors Ltd by contacting a member of our team to arrange a test drive. You can also browse all of our current stock here on the website.